It’s understandable to want to stay outside all day in the sunshine while you’re traveling. You can do just that if you take the right sun safety precautions. The following tips will help you decide what to wear, where to hang out and the correct sunscreen to use on those beautiful spring and summer days. Always wear a sunscreen with a sun protective factor (SPF) of at least 15. 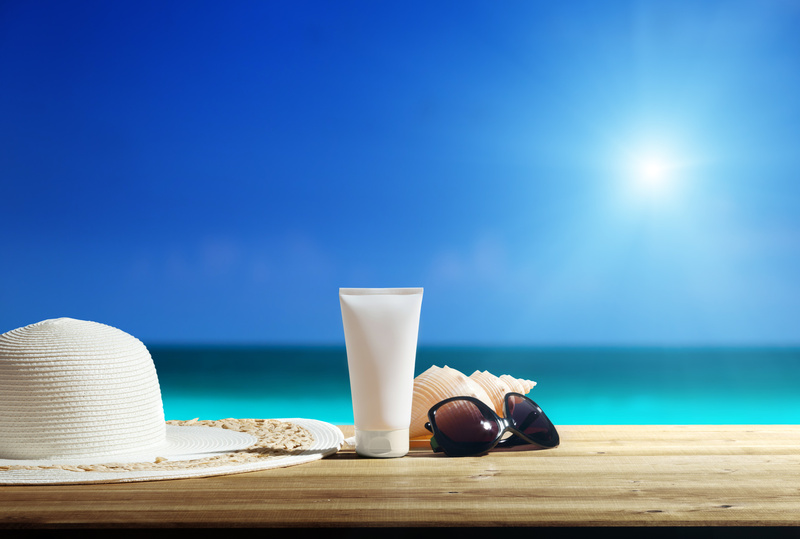 Your sunscreen should protect you from UVA and UVB rays. Additionally, it’s important to reapply sunscreen thoroughly every two hours and after each swim or sweat. Never use a sunscreen that has already reached its expiration date. Wearing the correct clothing can ensure that you enjoy a long day outside without ruining the next due to sunburn. Loose-fitting long-sleeved shirts and long pants can protect you from the sun’s harmful rays. Keep in mind that a wet T-shirt provides much less protection than a dry one. Include a hat with a wide brim to protect your ears, neck, head and face, and you’ll be properly protected from the sun and able to enjoy much more time outdoors. Long hours in the sun can easily drain your energy, so it’s important to seek shade whenever possible. Find a comfortable spot under an umbrella or your RV awning for those grueling midday hours. It’s important to wear your protective clothing or sunscreen whenever you go outside in the year’s warmest months, whether you’ll be spending most of your time in the shade or not. Searching for a new RV this summer? You can find an RV that will help you spend more time outside than ever right here at Fretz RV.